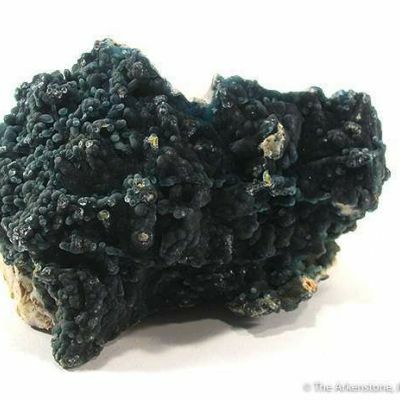 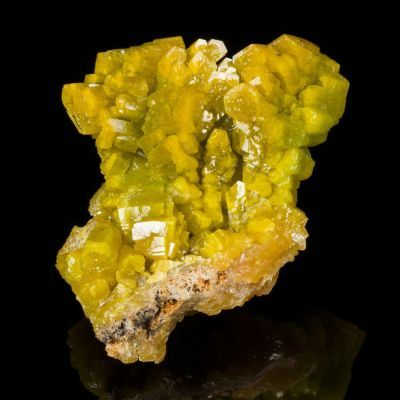 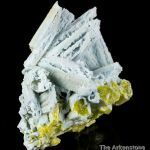 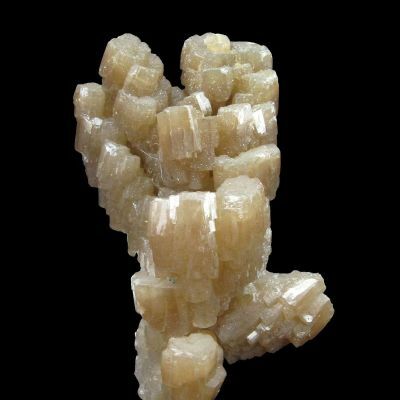 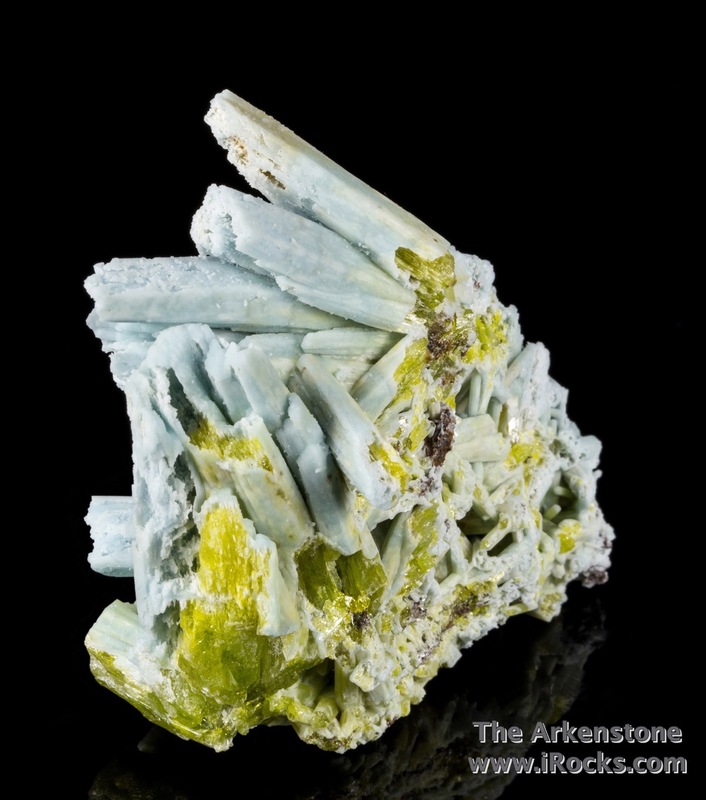 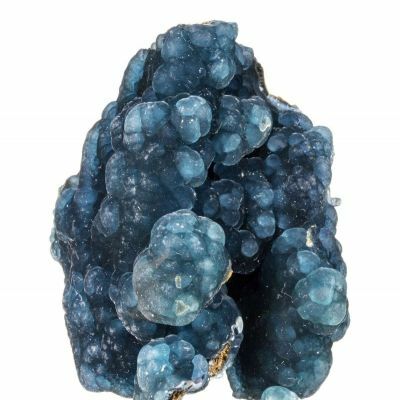 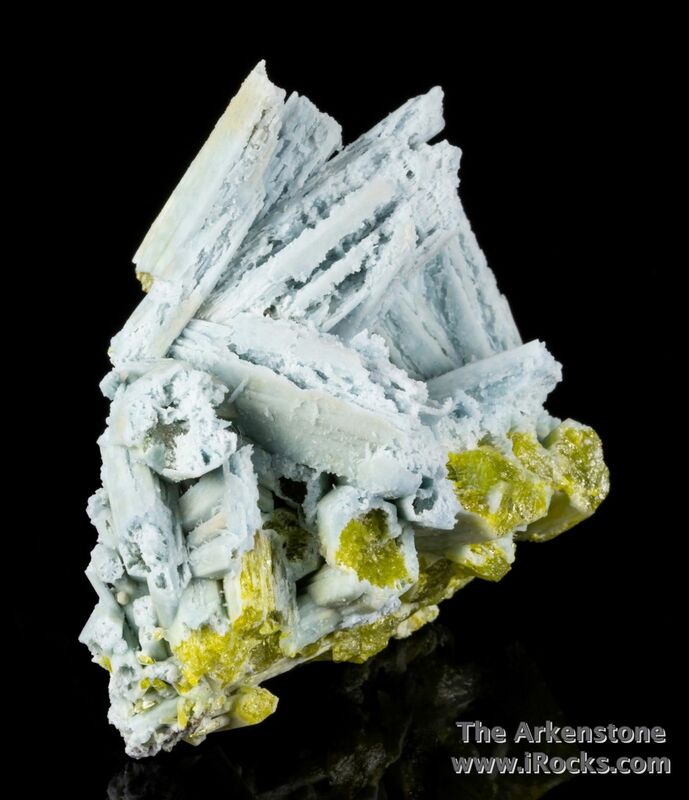 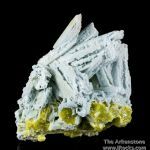 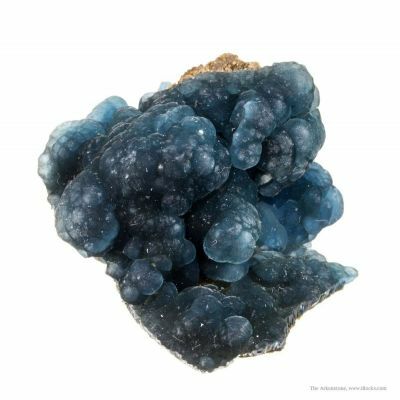 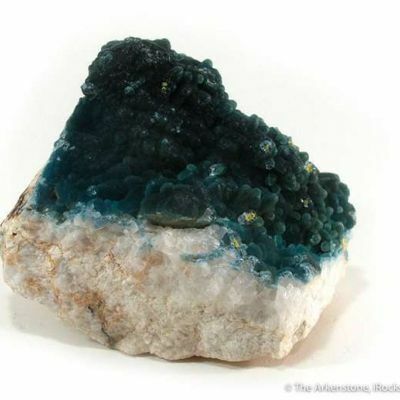 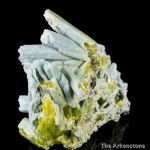 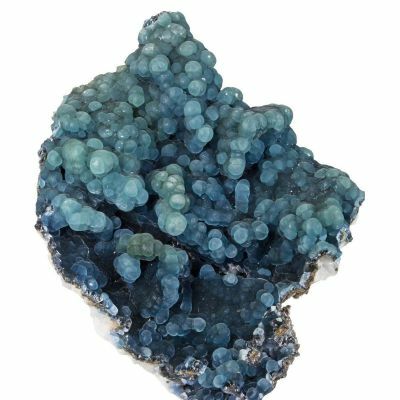 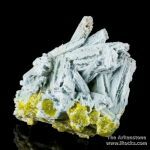 Sky blue crystals, to 3.7 cm in length, of hoppered plumbogummite ps. 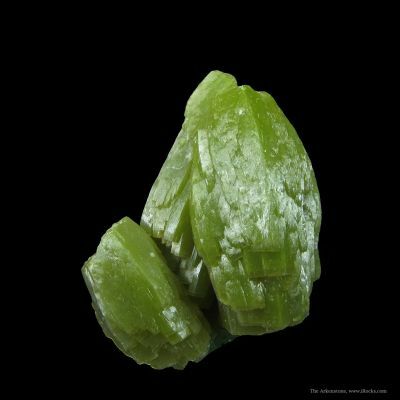 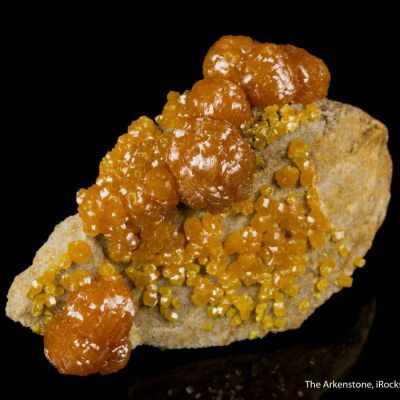 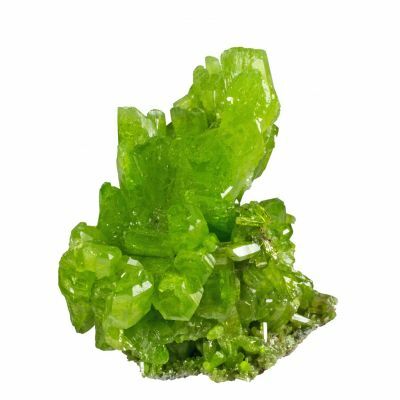 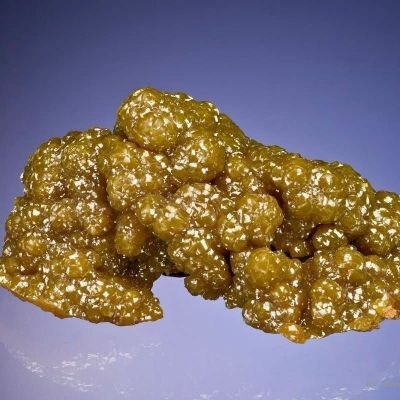 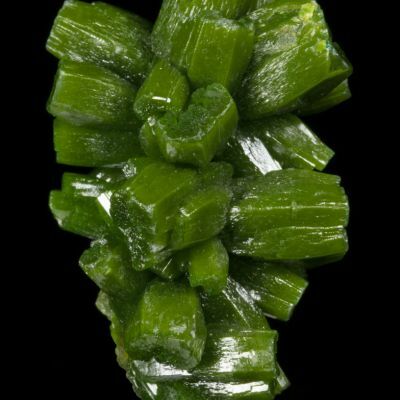 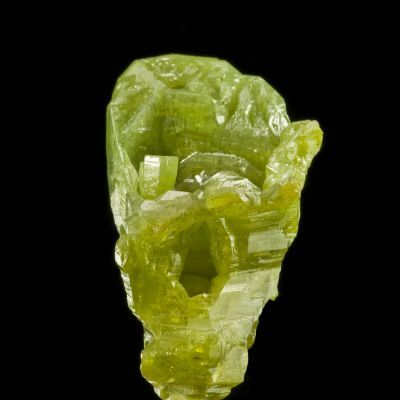 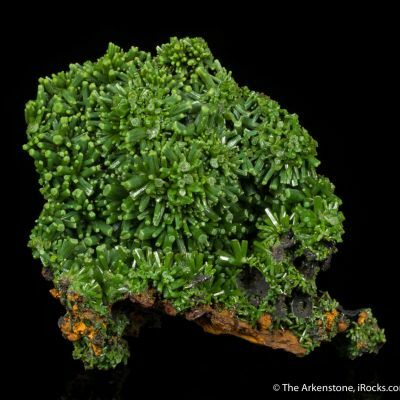 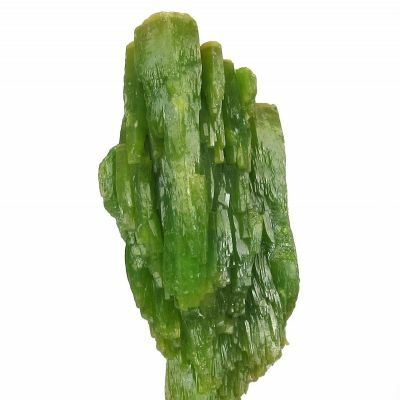 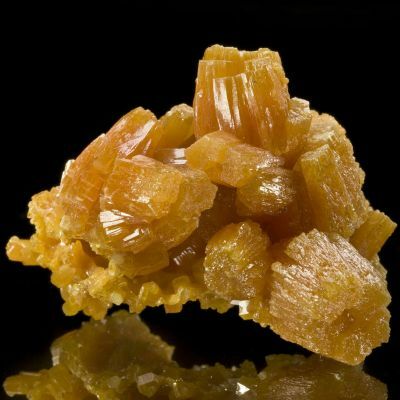 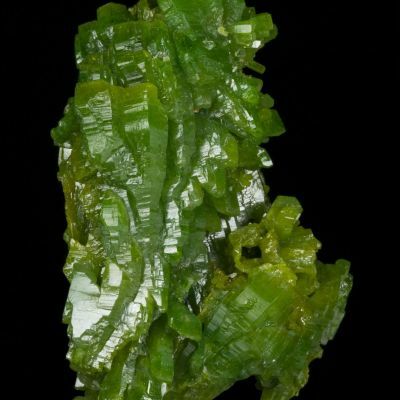 pyromorphite rest on the vestiges of the original, lustrous, olive green pyromorphite. 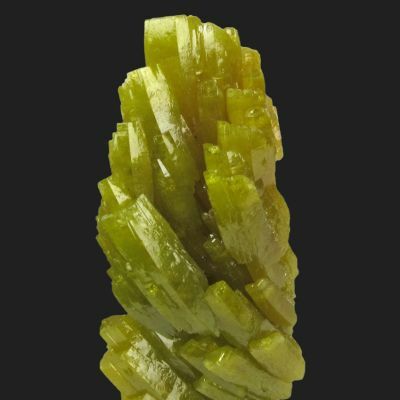 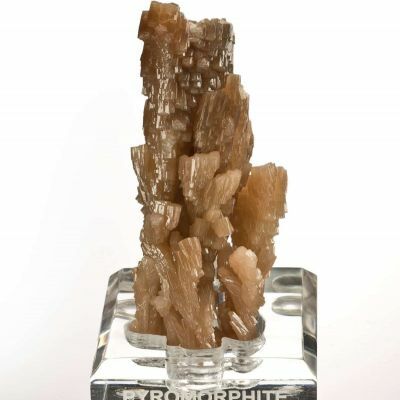 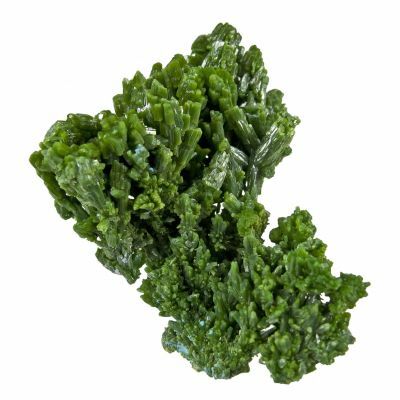 This fine display specimen looks great in a case and has wonderful color.